1989, finished in the great combination of Diamantschwarz Metallic with Silver Uberkaro cloth. 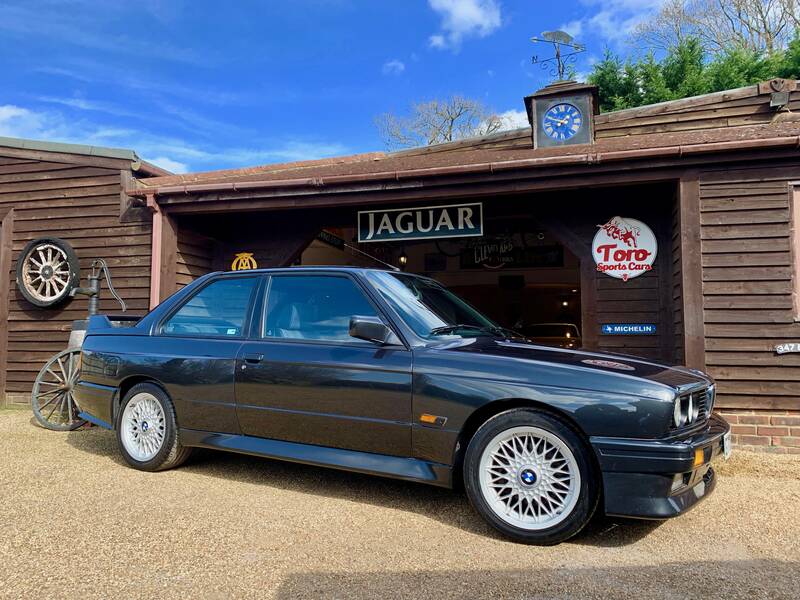 This European supplied E30 M3 has covered 97,000 miles from new and is now offered for sale for the first time since arriving in the U.K. in 1998. This car is the 75th 215 HP E30 M3 produced and was supplied new with electronic damper control and a sunroof. A fantastic opportunity to own a smart and totally standard car that is available today as a fantastic project at a very competitive price.